This advisory board is certainly a who's who of the space industry. They will assist BridgeSat, Inc. (BridgeSat) in its mission of expanding use of optical communication to meet the increasing demands of satellite technology. The diversely experienced Advisory Board will oversee matters related to BridgeSat’s growth and development as well as identify and capitalize on industry trends that emerge and impact the satellite sphere. 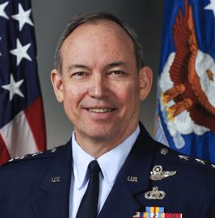 Lt. Gen. David Deptula, USAF, Ret. Douglas Loverro, DASD Space Policy, Ret. 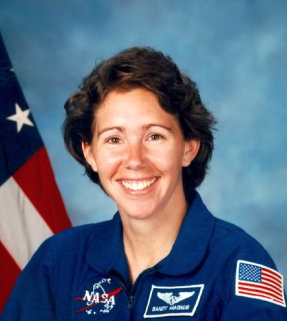 Sandra Magnus, PhD, Astronaut, Ret. Lt. Gen. David A. Deptula, Ret. Lt. Gen. David Deptula, Ret. served in the U.S. Air Force for more than 34 years of distinguished service. His last tour was as the Air Force’s first Deputy Chief of Staff for Intelligence, Surveillance, and Reconnaissance. He was the principal planner of the Desert Storm air campaign; commander of no-fly-zone operations in the late 1990s; director of the air campaign over Afghanistan in 2001; twice a joint task force commander; and the standing air component commander for Pacific Command in 2006. 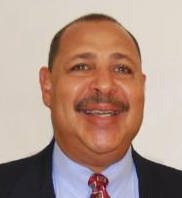 Douglas Loverro, Deputy Asst. Sec. of Defense for Space Policy, Ret. 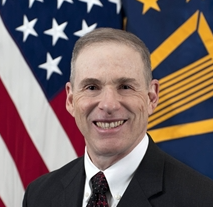 Douglas Loverro served as Deputy Assistant Secretary of Defense for Space Policy, retiring in 2017. Before this, Loverro served as Executive Director for Air Force Space Command’s Space and Missile Systems Center. His aerospace development accomplishments include inventing the supersonic chemical oxygen-iodine laser and initiating the Department of Defense’s Global Broadcast service. “BridgeSat is changing the way satellites will operate in the future, and I’m excited to offer my input and insight to such a forward-thinking company,” stated Loverro. Dr. Sandra Magnus took flight with the crew of STS-119 Discover, returning to Earth in March of 2009 after 134 days in orbit. Magnus was also an engineer designing stealth aircraft for the Navy. William Parker, Department of State's Minister-Counselor, Ret. William Parker served for 31 years with the Department of State, ranking as Minister-Counselor, equivalent of Major General. He specialized in foreign services, accumulating a plethora of critical national security initiatives worldwide. 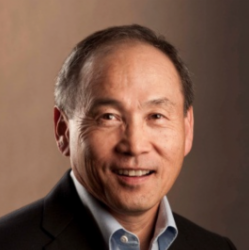 CEO of BridgeSat, Barry Matsumori, stated, “I couldn’t be more excited to work with the Advisory Board we’ve assembled at BridgeSat.